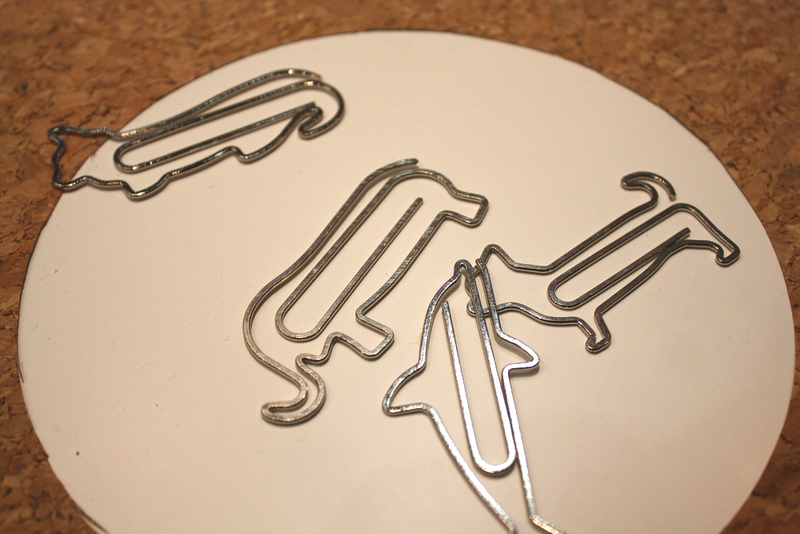 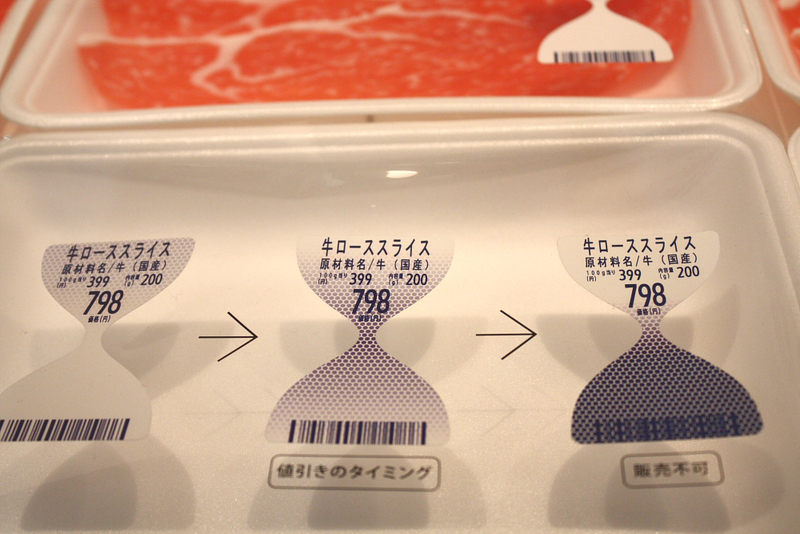 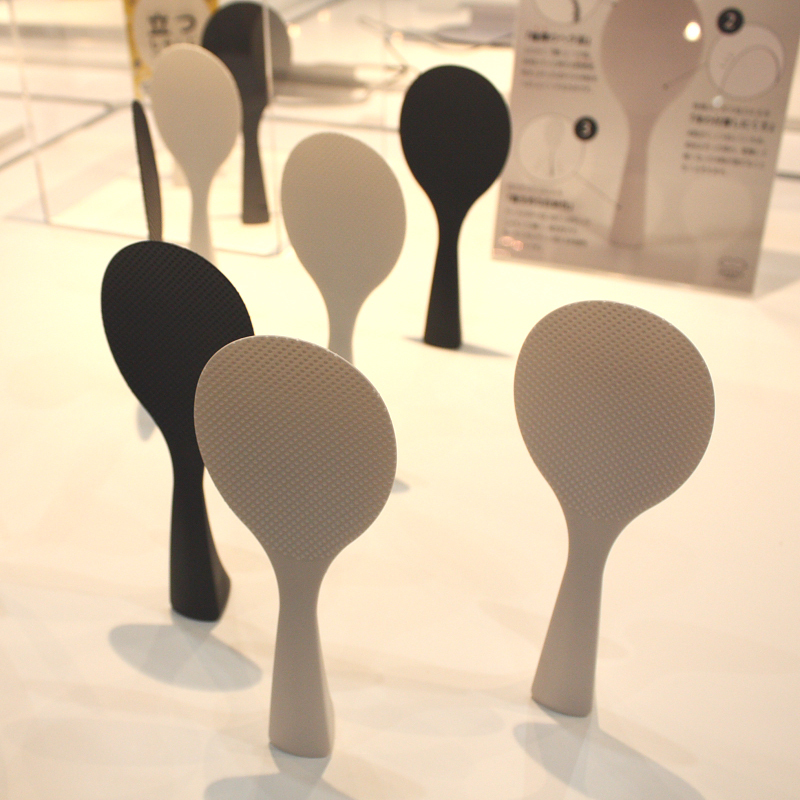 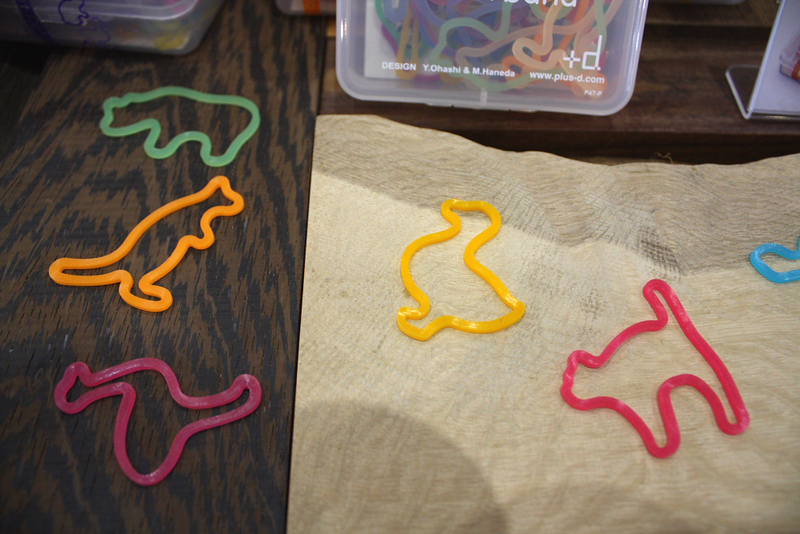 One the most interesting items was this hourglass-shaped freshness label for meat products (designed by TO-GENKYO). 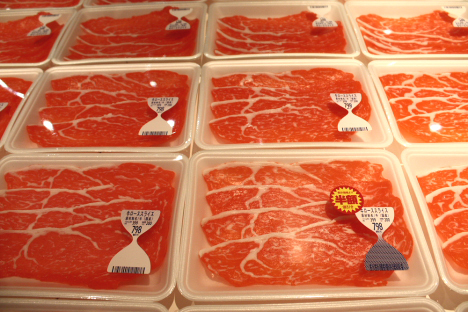 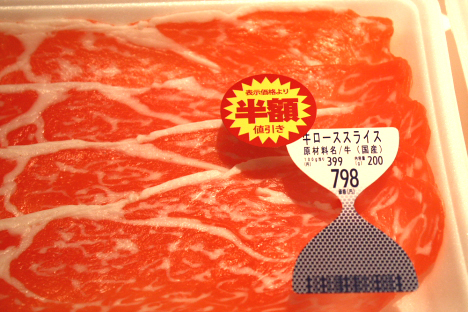 The label contains special ink that changes color based on the amount of ammonia emitted by the meat (the older the meat, the more ammonia it releases). Like an hourglass, the bottom half of the label “fills up” as the meat ages. 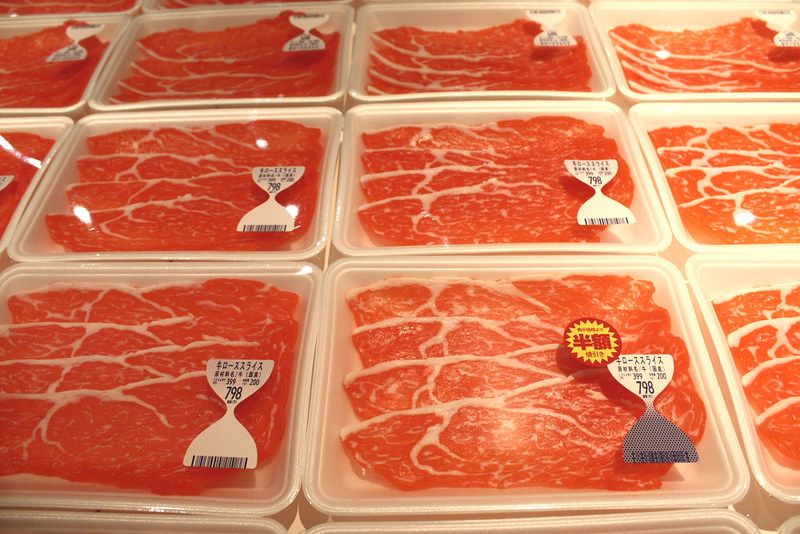 Consumers can judge the product’s freshness at a glance. These stylish Hana-Akari interior lamp shades by Sony are actually dye-sensitized solar cells that mimic photosynthesis by storing energy in a thin membrane. 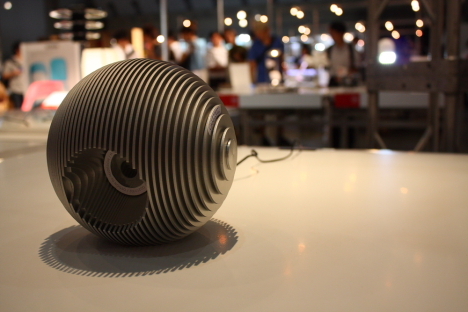 The shades collect sunlight during the day and power the lamp at night. 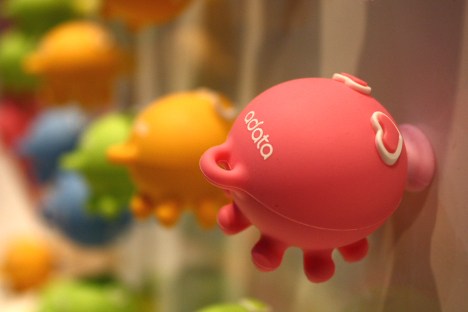 The magnetized mouths of these Kissing Octopus Couple USB flash drives (by A-Data) allow them to function as magnetic stickers when not plugged into a computer. 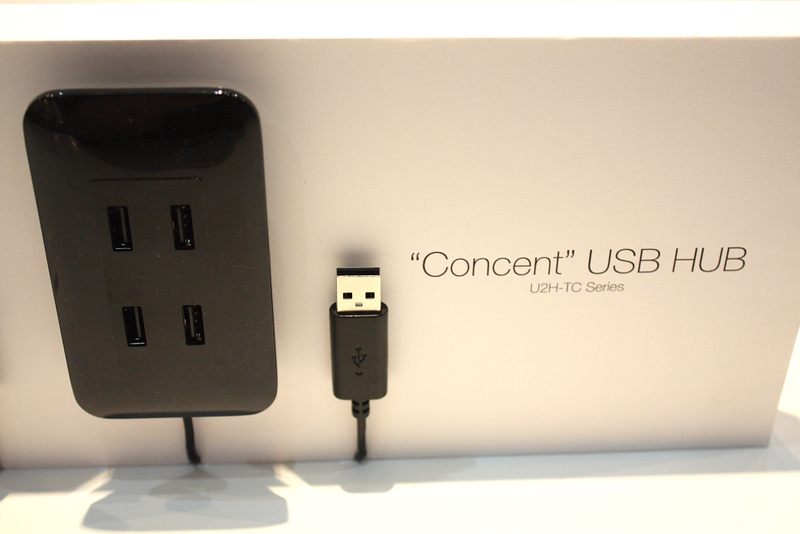 The USB connector tucks neatly inside the body. 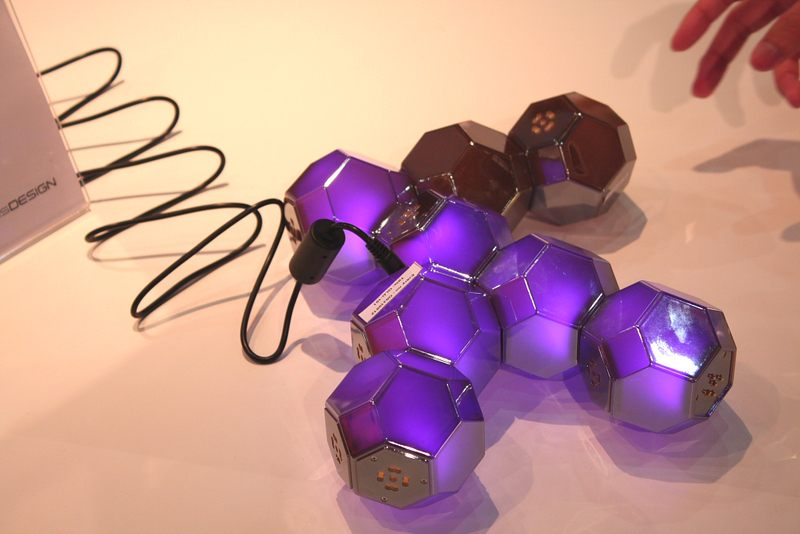 When two are placed face to face, they lock together in a magnetic kiss (making them an ideal gift for Valentine’s Day). 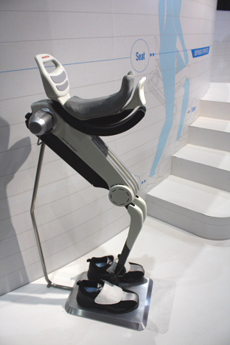 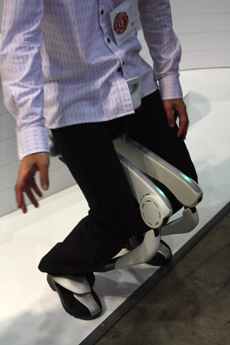 Honda’s experimental Walking Assist Device helps support the wearer’s body weight, reducing the load on the legs while walking, going up and down stairs, and crouching. 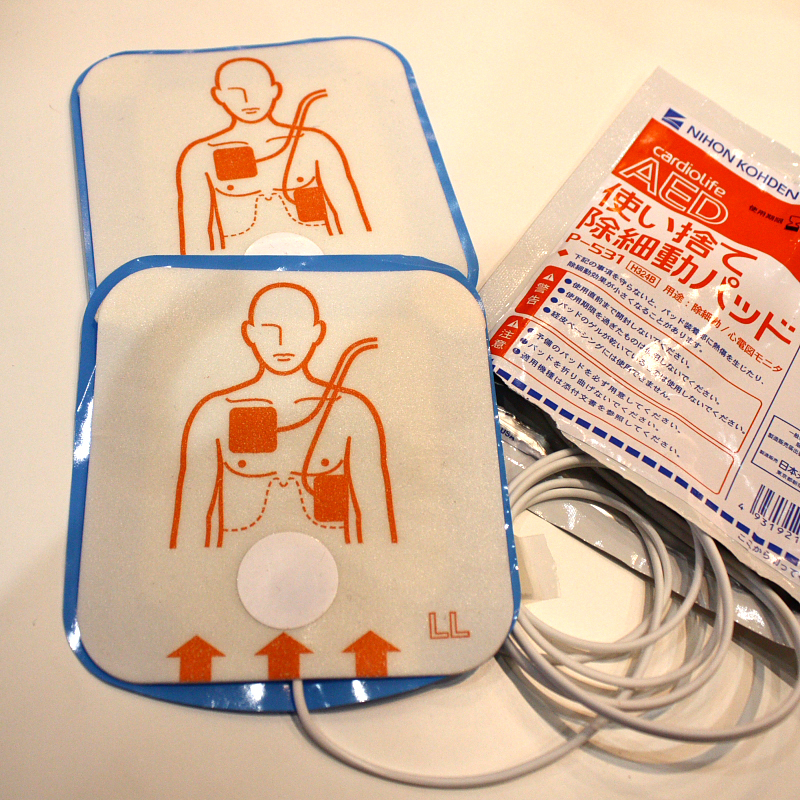 These disposable pads are designed for use with automated external defibrillators (AEDs) placed in public areas. 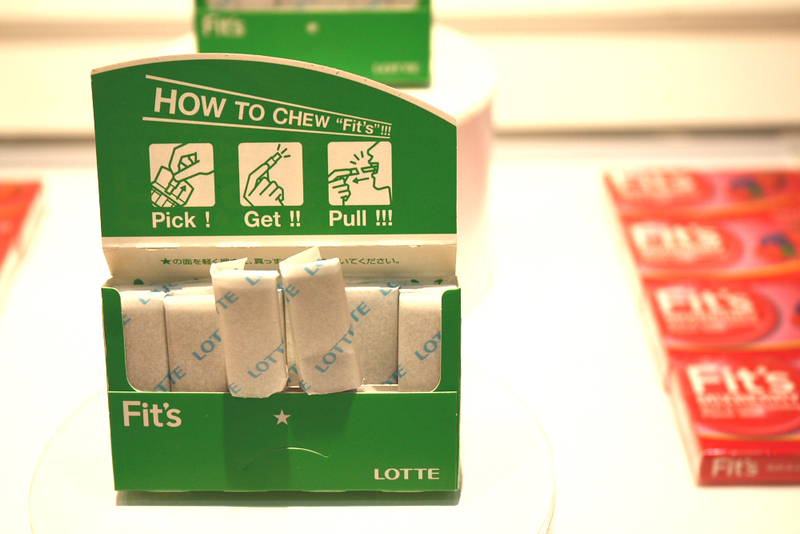 The imprinted design shows where to attach the pads to the body — helpful information for the first-time user. The QLD-101 table lamp (designed by Qisda Corporation) is a modular LED light fixture composed of crystal-like units that connect together with magnets. 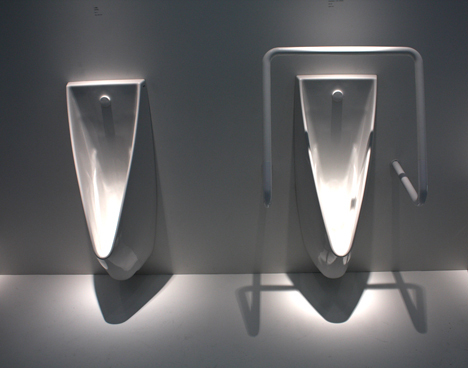 The polyhedral units can be easily configured into a variety of shapes, and the low-temperature LEDs prevent them from becoming hot to the touch. 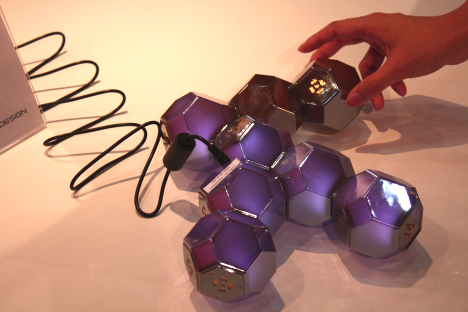 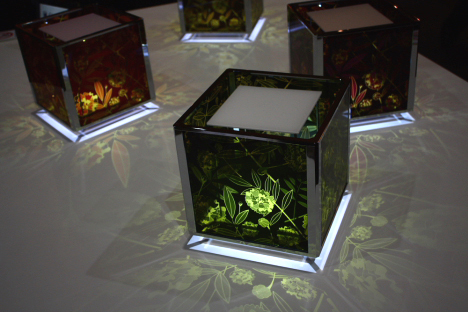 The interactive lamp, whose design was inspired by natural crystals, gently cycles through a spectrum of colors.